Lucy is now Head of the Human-Elephant Co-Existence Program for Save the Elephants and continues to work on the elephants and bees project. She won The Future for Nature Award and The St Andrews Prize for the Environment in 2013. 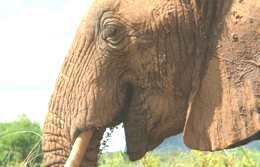 She is actively involved in the Kenyan Elephant Forum (KEF) and in 2013 she was invited to join IUCN's African Elephant Specialist Group. To read about the latest results and papers, or to make a donation, please visit Lucy's website.